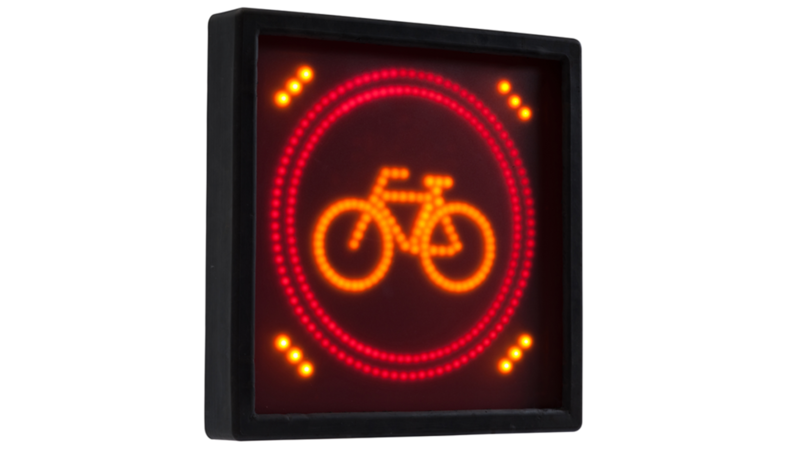 This HGV LED Cycle Safety Warning Light is of superior design and construction, standing out metres away for all Vulnerable Road Users to see when the vehicle is turning left. The purpose of this light is to warn Cyclists and Vulnerable Road Users not to travel down the left hand side of the vehicle. With this HGV LED Cycle Safety Warning Light your vehicles will be noticed in the right way as well as being compliant with FORS Standards. More effective than stickers alone! This is just one part of our extensive range of services which completes the loop of safety and monitoring products for the commercial market.